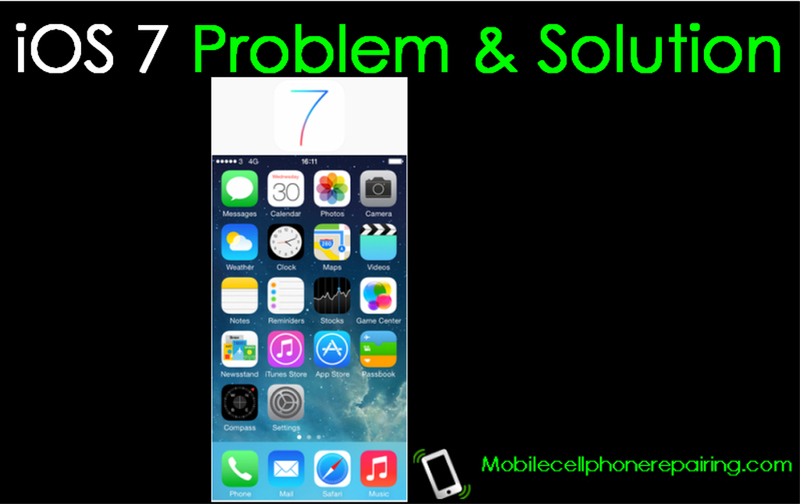 iOS / iOS 7 Not Responding – Problem and Solution – Learn how to fix common problems and issues of Apple iOS 7. Common Problems include Home Button not working, Sleep-Wake Up Button Not Responding, iPhone Hangs, Slide now Responding. The Home button doesn’t works or does not take you to the home screen. The iPhone, iPad or iPod just sleeps and does not wake up even after pressing the sleep / wake button. The gadget could not be turned ON. The Apple logo appears and the system hangs. The gadget is hung, frozen or does not respond at all. The “Slide to Unlock” or “Slide to Power Off” does not work. If the iPhone, iPad or iPod is not responding then try to restart it. To restart the device, Press and hold the Sleep/Wake button on the top until the red slider appears. Now drag the slider to turn the device OFF. Now press and hold the Sleep / Wake button again until you see the Apple logo. If the device does not respond at all or does not turn on, then try to reset it. To reset the device, press and hold both the Sleep/Wake and Home buttons for about 10 seconds. When the Apple logo appears, the device is reset. If any single application is not responding or stops responding then try to force stop the application. To force close an application, double-click the Home button and Swipe left or right to locate the particular app. Now swipe the app’s preview up to close it. If your problem is nor resolved by any of the above solution, then you may try to restore your device with iTunes. If the problems still persist then contact Apple.